This year you can put those May bank holidays to good use with a trip or 10 to the cinema! Another month jam-packed with great releases that will keep you entertained throughout. From the abs of Zac Efron to the chiseled cheekbones of Angelina Jolie, indie darling Elizabeth Olsen to action man Tom Cruise, mutant lizards to Marvel superheroes – the month of May has it all! To help you decide what films to watch this month, we’ve whittled down our top 10 movie picks for May below by release date. Now go get some popcorn and enjoy! Why Should You Watch It? Let’s start with a fun fact: Bad Neighbours is actually called plain old ‘Neighbors‘ stateside. The UK probably gets the extra adjective thrown in to avoid confusion with the popular Aussie soap. But whatever title you see it under the story is the same; Seth Rogen stars as Mac Radner who has a newborn baby, however when he and his wife Kelly (Rose Byrne) are forced to live next door to a fraternity house hilarity and chaos ensues. Zac Efron plays Teddy, the president of the fraternity, and with Seth Rogen’s comedic genius and the high probability that Efron will be taking his shirt off at least five times, what other reasons do you need to watch the film? Check out our 4-star review of Bad Neighbours, here! Why Should You Watch It? Frank is the British-Irish comedy-drama that seemingly everybody’s been talking about ever since it premiered at Sundance. If you don’t recognise the title you’re sure to recognise the image of Michael Fassbender wearing a massive papier-mache head, reminiscent of Chris Sievey’s comic persona Frank Sidebottom. The film draws on the experiences of Jon Ronson (Domhnall Gleeson), a wannabe musician who realises he’s bitten off more than he can chew when he joins enigmatic Frank’s eccentric pop band. Maggie Gyllenhaal also stars! Check out our 4-star review of Frank, here! Why Should You Watch It? Joseph Gordon-Levitt is just one of the stars to lend his voice to this Japanese animation. Directed by Spirited Away and Princess Mononoke’s Hayao Miyazaki, The Wind Rises is an animated biopic that looks at the life of Jiro Horikoshi (Gordon-Levitt), the man who designed Japanese fighter planes during World War II. Check out our 3.5-star review of The Wind Rises, here! Why Should You Watch It? The third Olsen sister is dominating May’s picks as she also stars in the period drama In Secret, alongside Harry Potter’s Tom Felton! Set in 1860s Paris, Elizabeth Olsen plays Therese Raquin, a sexually repressed woman stuck in a loveless marriage to her sick cousin, Camille (Felton). However her life takes on a Madame Bovary-esque twist as she embarks on an illicit affair with her husband’s friend Laurent (Oscar Isaac), which leads to tragedy. Why Should You Watch It? There’s another trend in May’s releases with Oscar Isaac also starring alongside Kirsten Dunst and Viggo Mortensen in The Two Faces of January. The Guatemalan-born actor this time plays Rydal, a suspicious tour guide who gets caught up in the scandalous lives of a wealthy couple who ask for his help after they meet in Greece. As well as stunning scenery and edge-of-your-seat viewing throughout, The Two Faces of January’s all-round strong cast makes it one to watch! Check out our 4-star review of The Two Faces Of January, here! Why Should You Watch It? The star-studded franchise continues with Jennifer Lawrence, Huge Jackman, Ian McKellen and Halle Berry among the cast for the fascinating new take on the superhero story. X-Men: Days of Future Past will see the characters from the original X-Men film trilogy team up with their younger selves from X-Men: First Class in an epic battle that must change the past to save our future. The concept alone makes it a must-see movie of the year! Check out our 4-star review of X-Men: Days Of Future Past, here! Why Should You Watch It? 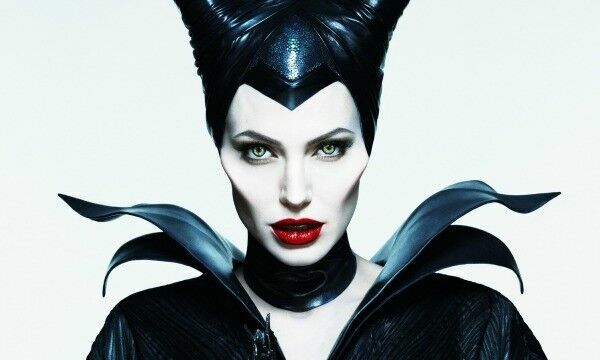 It feels like we’ve been waiting for Angelina Jolie’s portrayal of Disney baddie, Maleficent, forever. Telling the story of Sleeping Beauty from the villain’s point of view, Maleficent will reveal what it was that made her so cold-hearted and why she cursed Princess Aurora (Elle Fanning). One thing is for sure, Maleficent will be visually stunning and bring out the child in even the hardest of adults! Why Should You Watch It? Tom Cruise is back and this time he’s at war. In a kind of Groundhog Day / Source Code/ Alien hybrid, Edge of Tomorrow follows Cruise as a soldier who finds himself caught in a time loop of his last day in battle against the aliens who are trying to take over the Earth. However, as each loop resets he finds himself getting better along the way and discovers that he just might be able to defeat the aliens after all.